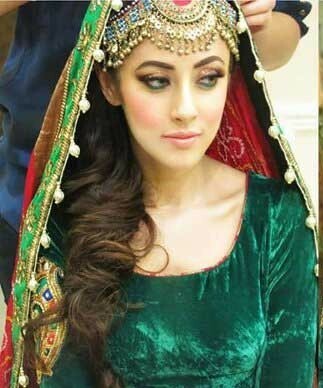 Brides try several types of accessories and one of the most famous one is matha patti that gives a beautiful look to the bride. 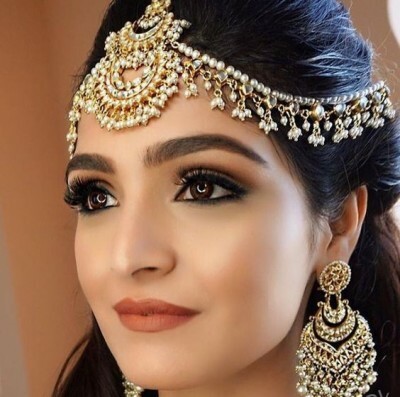 Elegant nose pin, jhumkas and necklace in matha patti look astonishing on the appearance of brides. 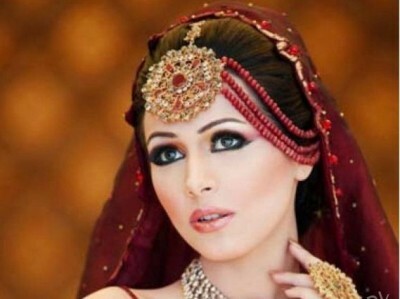 Whole beauty of the face can be increased with the help of matha patti. Various types of designs and methods can be used for applying matha patti. 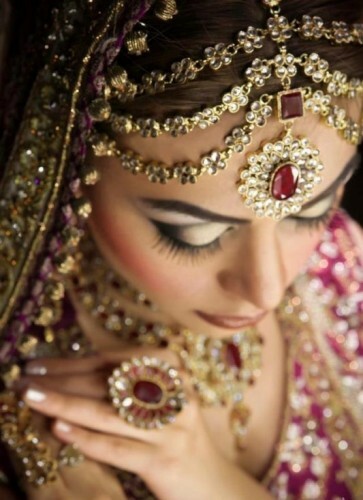 Brides can have one or two sided matha patti according to their choice. Famous matha patti styles are matha patti embroidered with beads and treasures and kundan matha patti. 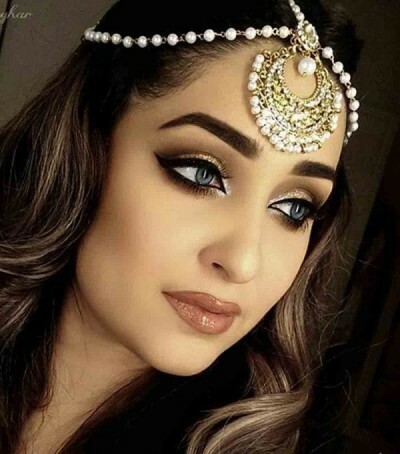 According to their shapes and sizes, there are several varieties of mathi patti but face structure and features should be considered before choosing any style. There are various styles and colors in the Trendy matha Patti Style. Most of the times, simple layers of beads and layers are used but scrawls with colorful pearls and twisted stones are also seen in the trendy matha patti style. You can match color of your dress with colors of pebbles and beads of matha patti. This matha patti will give an inspiring look to your face and hairs also. You can also hide the layer of tikka in your hair by backcombing your hair that will make your tikka noticeable.